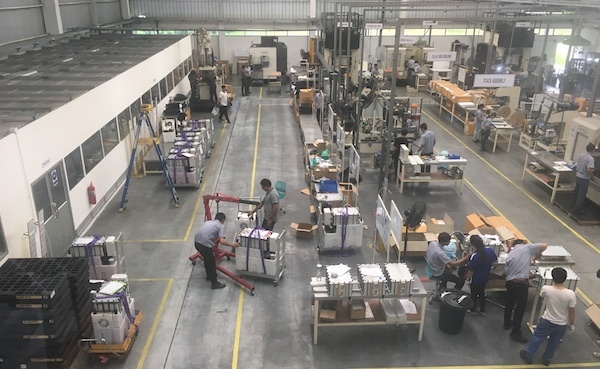 Australian energy storage company Redflow Ltd began manufacturing complete zinc-bromine flow batteries at its new factory in Thailand, which it is now shipping to customers in Australia and internationally. Redflow reports the factory now has the capacity to consistently produce as many as 90 ZBM2 batteries per month. The company will synchronise production volumes with customer demand. Redflow CEO Tim Harris said manufacturing complete batteries from the factory marked an important milestone for the company. “This achievement is underpinned by our ongoing focus on ensuring the consistent supply of quality batteries from this new facility,” he said. “After rigorous qualification of our manufacturing process during the first half of 2018, we are very happy with the quality of these Thai-made batteries. We have already started shipping these complete batteries to customers in Australia and internationally and we look forward to scaling up production at a rate appropriate to market demand. Redflow’s 10 kilowatt-hour (kWh) zinc-bromine flow batteries are designed for demanding energy storage applications in the residential, commercial & industrial and telecommunications sectors. Marketed as ZBM2 and ZCell, Redflow batteries can scale from a single battery installation through to grid-scale deployments. Redflow, which sells its zinc-bromine flow batteries through an authorised partner network in Australia and internationally, is focussed on supplying key energy storage markets in Asia, Africa and Australasia.